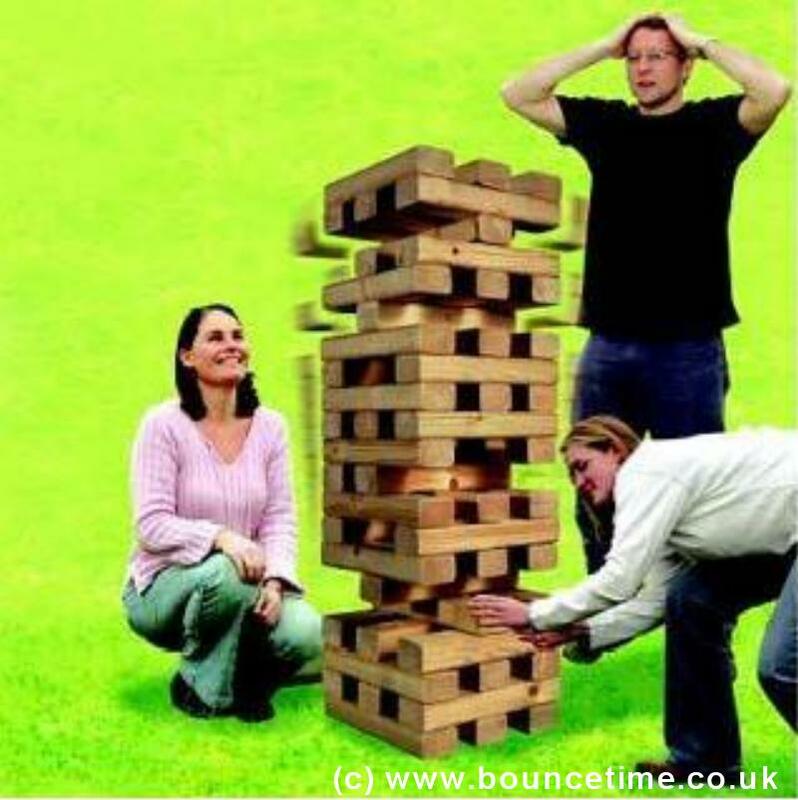 Hi-Tower Jenga Giant Garden Game - Bouncy Castle Hire 4 Kettering, Corby, Wellingborough, Rushden, Raunds, Rothwell, Desborough, Market Harborough, Adult Castle, Slide, sumo wrestling, Sumo, Crazy Games, Giant Garden Games, Northamptonshire. Our inflatables are ideal for kids parties, adult parties, Garden Party and a corporate or business event. Large and small events are catered for and we are fully insured. We offer cheap and discount prices in school holidays and for larger events. Hi-Tower / Jenga is the largest of the tower games, and the clever design using gaps between the blocks means the game lasts a long time, building the tension as the game gets higher and higher. The Tower Starts at 3ft 6 inches and builds up to over 5ft in play. Each block is 28.5cm long! and there is 58 blocks!